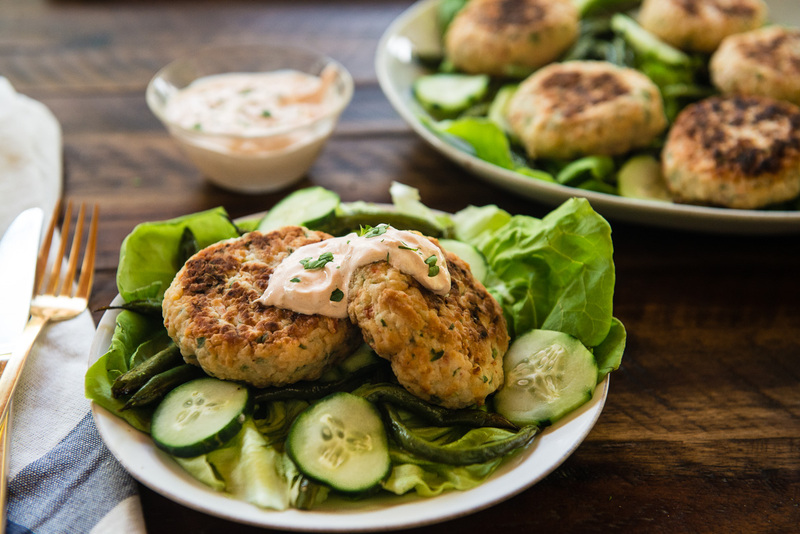 Shrimp cakes are made with fresh Texas Gulf shrimp and house-baked cornbread crumbles, then pan seared and served with a sweet and spicy Chile-Peach Yogurt Sauce. 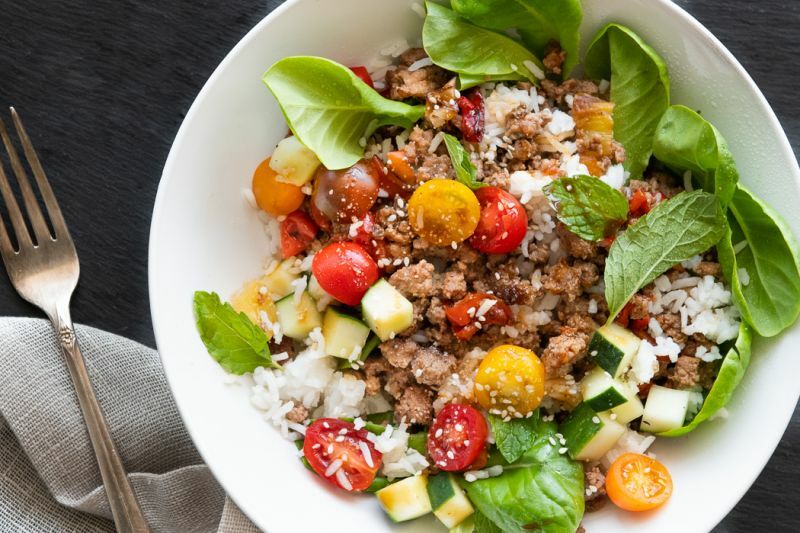 This Thai salad favorite features Peaceful Pork ground pork tossed with classic larb sauce and served over a bright and crisp salad of butter lettuce, white rice, and fresh veggies. 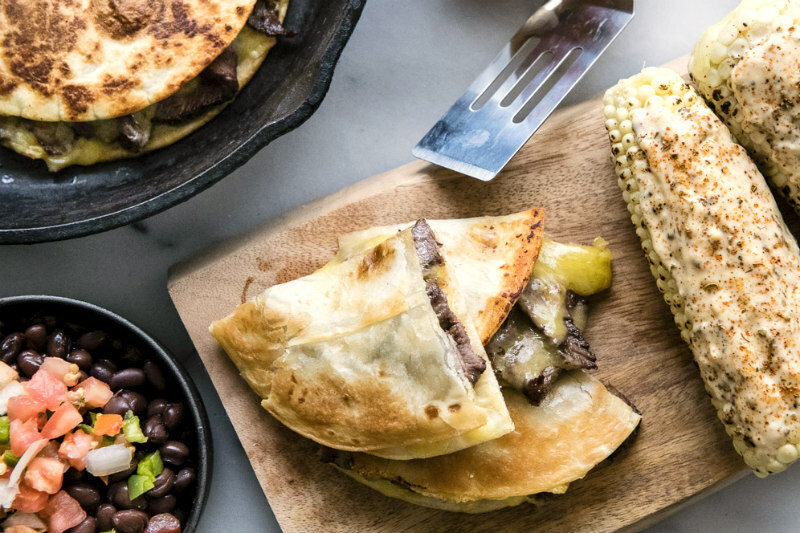 Melty and crispy quesadillas with tender beef, gooey cheddar cheese, and El Milagro flour tortillas make the ultimate crowd-pleasing Tex-Mex meal. Inspired by ayurvedic and macrobiotic meals, this hearty vegan-friendly dinner features roasted sweet potatoes and butternut squash.